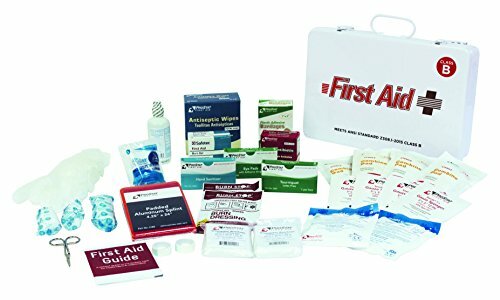 50 person Class b first aid Kit in steel case is designed to meet the ANSI 2015 50 person standard. Kit contains over 23 different items in varying amounts. If you have any questions about this product by ProStat First Aid, contact us by completing and submitting the form below. If you are looking for a specif part number, please include it with your message.